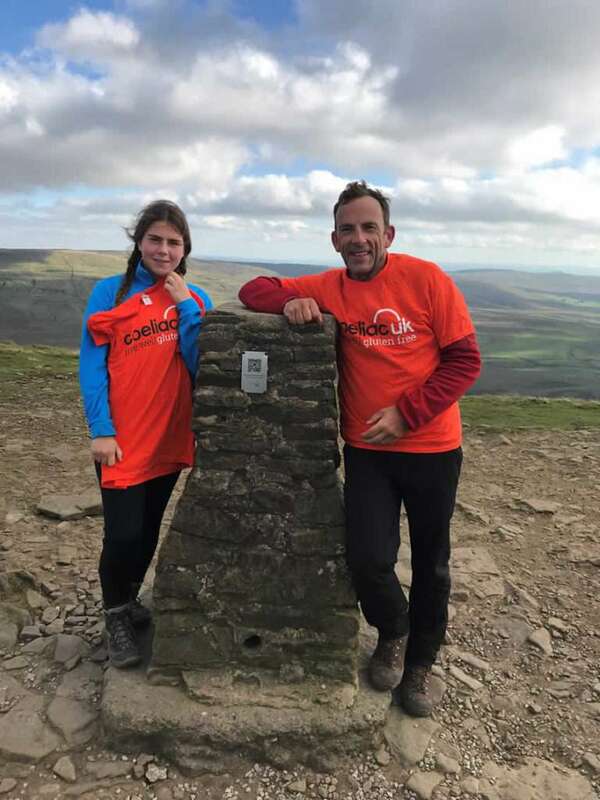 Earlier this month, Robin Jaques, Partner and Head of Aerospace & Defence, hit the 3 Peaks challenge with the support of a new generation of intrepid volunteers to raise money for the CoeliacUK charity. 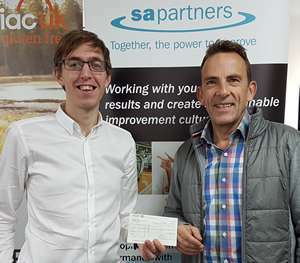 Robin travelled to their Cardiff office earlier this month to hand over a cheque for £1200 to Tristan Humphreys, which was the sum donated by S A Partners, and made possible due to the hard work of those who trekked for 8 and a half hours to reach the 3 peaks. 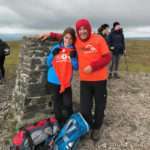 The trek itself took place on the 29th September, and the intrepid teenager team of Amy, Miles, Lauren, Will, Jemima, Jake, Thomas, & Ben, average age 14, ably slowed down by Lauren’s dad, hit the Yorkshire 3 peaks and didn’t bounce off. 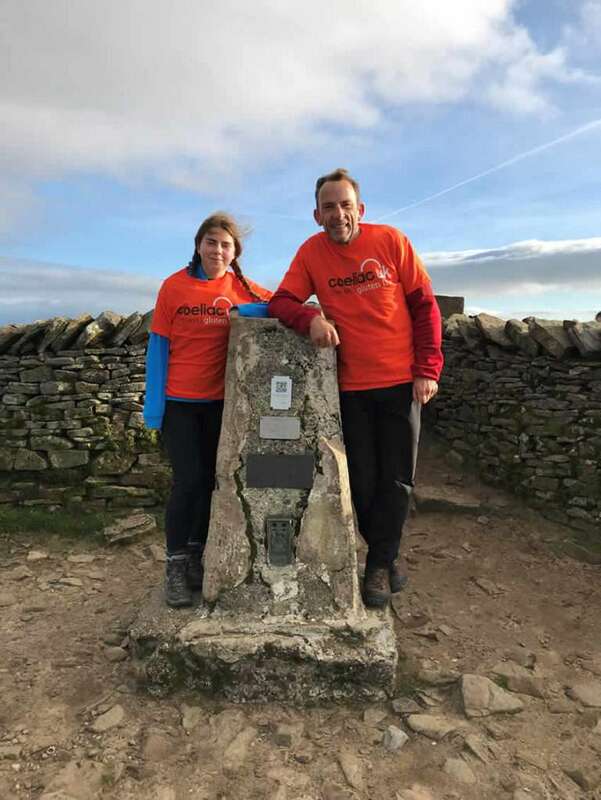 Eight and a half hours of rapid walking, some grumbling, the occasional giggling and lots of chocolate and they had completed 24.5 miles and 5000+ plus feet of ascent – and proved to themselves that achievements are rewarding. 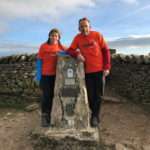 The day got a 9 out of 10 from the team, knackered and happy. 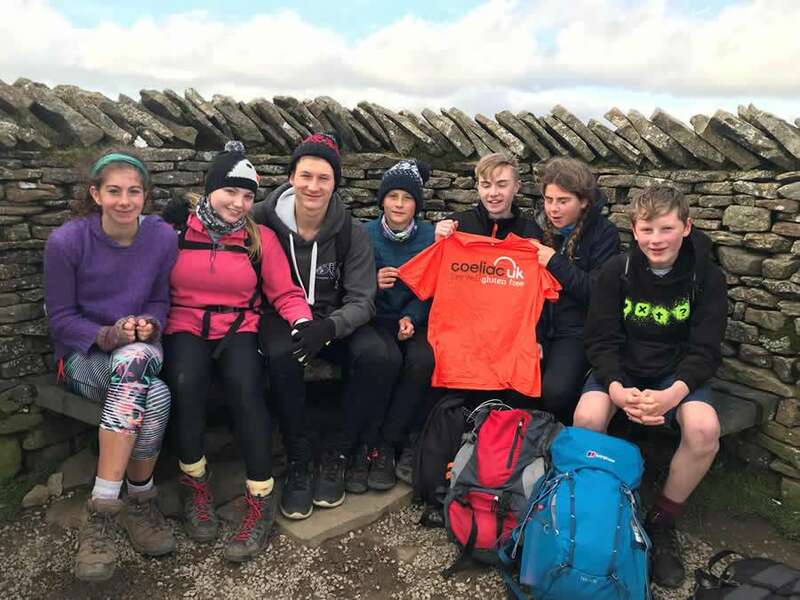 In the process they raised the £1200 for Coeliac UK to spend on supporting Gluten free chocolate amongst other important pursuits that this charity supports. 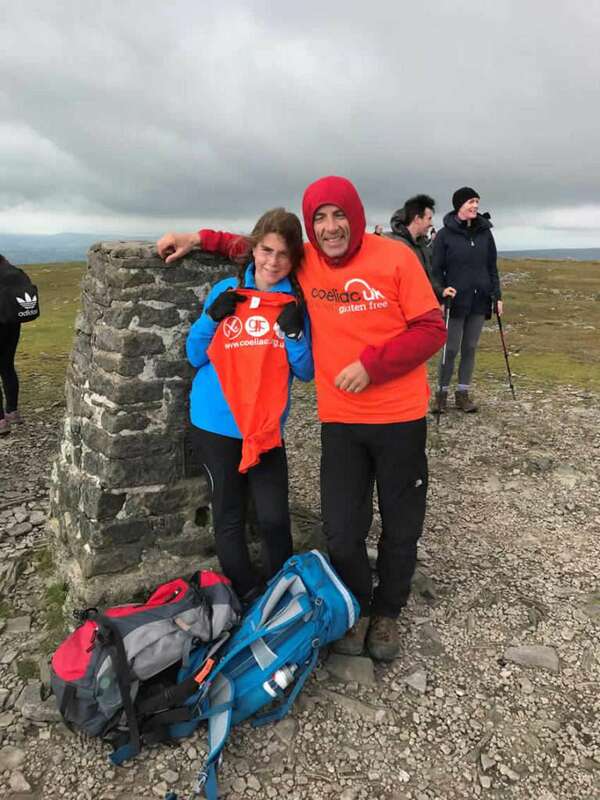 CoeliacUK want to ensure that the needs of people with coeliac disease and dermatitis herpetiformis (DH) are met and recognised by everyone in their everyday lives. 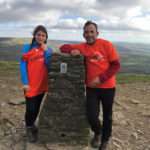 Their work supports everyone with coeliac disease and DH, and they operate as a Membership organisation and anyone with an interest in coeliac disease can join to receive their services or help with their campaign and research work. 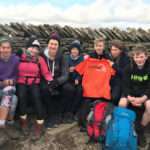 If you’d like to find out more about this worthwhile charity, you can visit the CoeliacUK website.